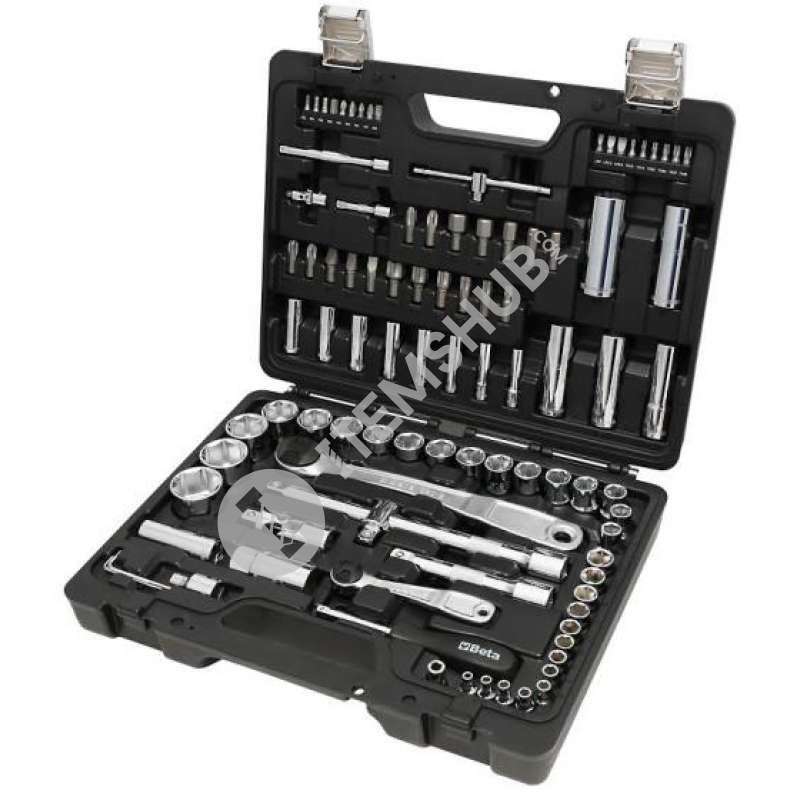 The Beta Tools 98-piece ratcheting socket spanner and bit set 903E/C98 contains 2 ratcheting socket spanners and a variety of sockets, bits and accessories made of the finest steel. It is recommended for use in general maintenance or repairs.The set is delivered in a storage case, which makes it easy to take along and to keep the contents neatly organised. Briefcase with ratchets and sockets Beta, in low-alloy steel chrome - vanadium, composed of 98 pieces all in a handy plastic case with the organization of the inserts. Coupling code. C900AD from 1/4 "to 1/4"
socket wrenches cod. C920A 1/2 ": 10 - 11 - 12 - 13 - 14 - 15 - 16 - 17 - 18 - 19 - 21 - 22 - 24 - 27 - 30 - 32 mm. Compass bit holder cod. 895/6 from 1/2 "to 5/16"
Compass cod. C895 / 6 1/2 "to 5/16"